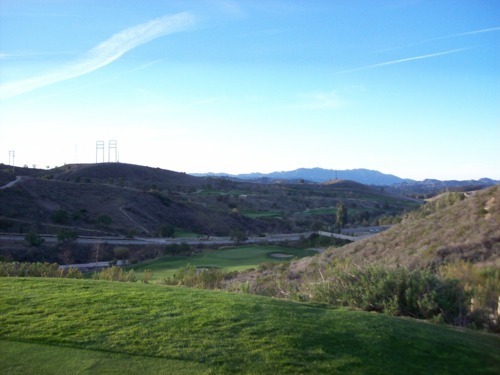 I’ve never been a huge fan of golf in Orange County. 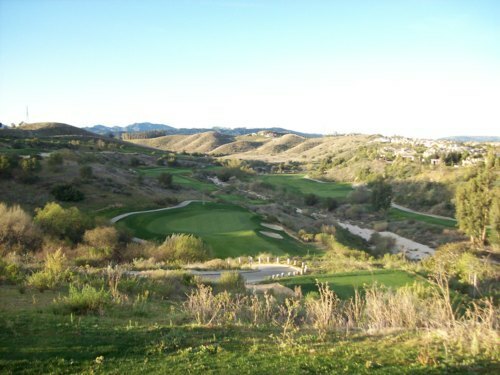 Sure, there are some great courses , but they are always way overpriced (especially on weekends when I play most). There are a few good deals to be found on the local munis, but those are WAY too overcrowded on weekends! 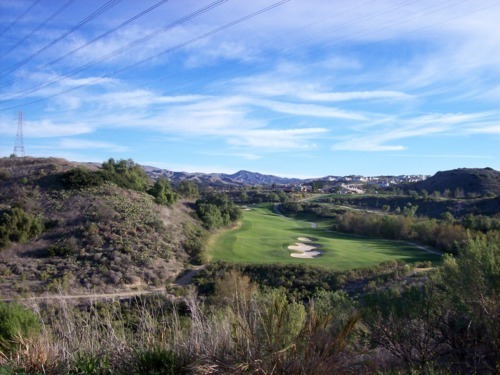 So even though I don’t play a lot in my own county, it is a great place to live when it comes to golf in Southern California because of its central location. Within an hour-and-a-half (without traffic), I can be many places—as far as Ventura, Palm Springs and San Diego. I can play anywhere in Los Angeles, Orange, Riverside and San Bernardino Counties without too long of a drive. 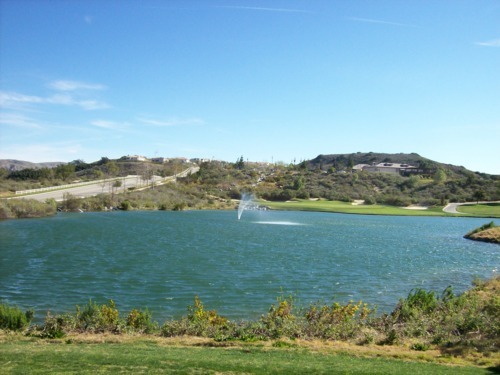 So Irvine has turned out to be nice place for the Golf Nomad to call home. The past few weeks, I have really put this idea to the test, driving all around the Southland. I already chronicled my adventures down to Fallbrook and Temecula, then out to Desert Hot Springs. 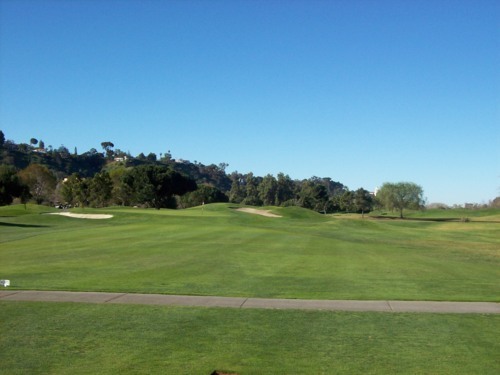 The weekend after that, I ended up playing at Moorpark Country Club (Ventura County, about 1:10 away) on Saturday, then at Riverwalk Golf Course (San Diego, also about 1:10 away) the next day. 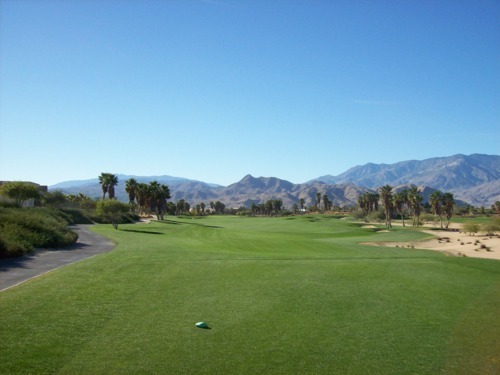 Last Thursday, I drove again out to the Coachella Valley to play two courses (Escena Golf Club in Palm Springs and Classic Club in Palm Desert), which is about 1:30 away from my home. 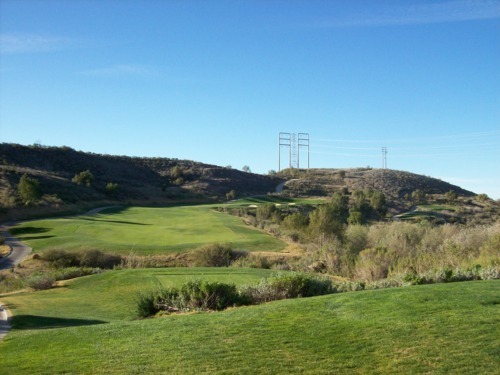 I finally had a chance to use my GroupGolfer.com voucher a couple weekends ago. 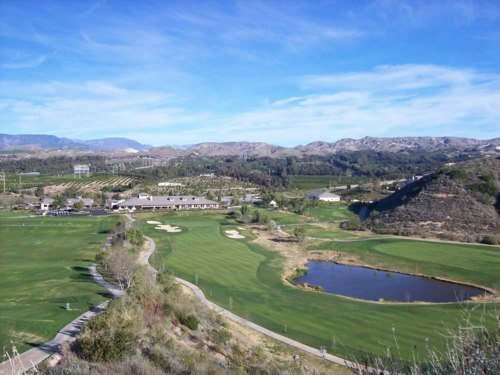 It could be used either for “unlimited” weekday play or for 18 holes on the weekend. I hadn’t had a chance to get out on a weekday, so I had to settle for the weekend deal. 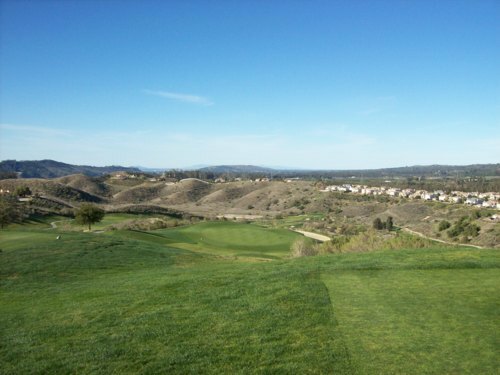 This was my first time playing out here and I played the Creekside/Ridgeline nines. I was hoping to play the other nine with their winter replay rate ($20, not bad), but it was backed up with a members’ event and I didn’t want to wait around. I really enjoyed the course even though the wind was insane that morning and definitely made it even tougher. It always seemed to be blowing hardest right in our faces on the longer uphill holes! Both nines were pretty different, but flowed together well as a full 18. 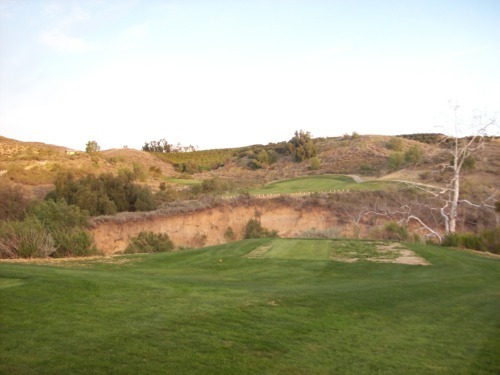 The Creekside nine had some tough, tight holes (more “target” golf on this side), but some great fun downhill holes. 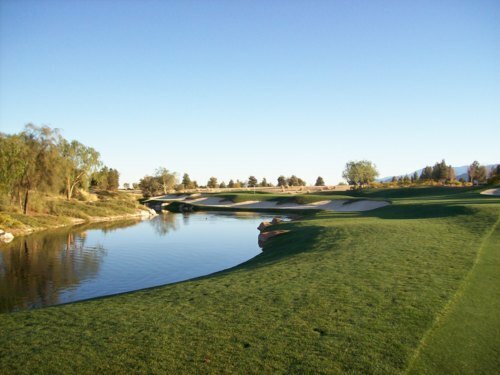 The short par-4 fifth was a fun one, as it is reachable from the tee by even those of us with average driving distances and has some room for error so you can feel free to bomb away. The Ridgeline nine was a little bit more open, but very hilly and tight in some areas. Still pays to be accurate out here and it helps to know the course. Luckily, I was paired with a member, so he helped me navigate some of the trickier holes. We were first off the Creekside #1 tee, so we cruised around in under 4 hours. 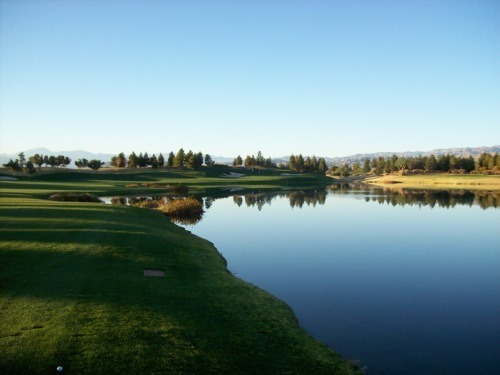 The staff was solid and the course was in great condition for winter. The fairways and rough were pretty lush. A few patchy spots here and there, but good overall. The fairways were nice and fluffy to hit off, but still thin enough you get plenty of roll on your drives, so it was the best of both worlds. Tee boxes were in pretty good shape, the bunkers were extra fluffy (sand was almost too soft for my taste) and the greens were great. The greens rolled very fast and there are a lot of tough slopes out here (especially when the wind is howling), but they were still soft enough to be very receptive on approach shots. I probably wouldn’t pay full rack rate out here, but for $60 on a weekend morning it was a good deal for a fun and challenging course in a nice setting. 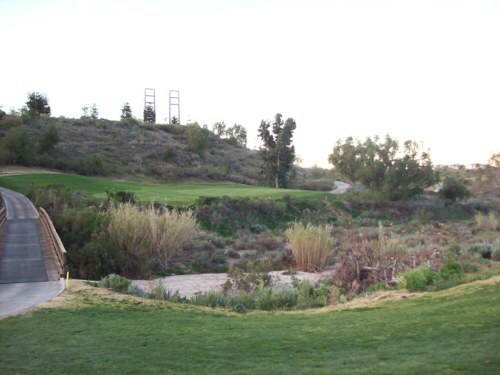 I played down at Riverwalk on the morning of the Super Bowl, looking to get an early round end before the game. It was very crowded with the pre-game crowd and they also a collegiate women’s tourney going off in the afternoon. The staff seemed very disorganized. There was a line out the pro shop door of people waiting to check in, and the starter area was a mess with one guy trying to coordinate groups going off all three nines. The course, though, was in really nice shape, especially considering all the traffic. Everything was pretty green and grass was lush in most fairways and rough. The greens were in good shape, although they were playing very firm and very fast. The layout here is nothing too spectacular, but the greens were the challenging part when I was there. They had the pins in tough placements for the women’s tournament and it was hard to get anything to stay close to the hole. 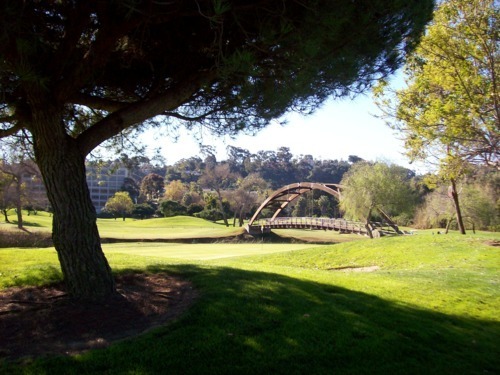 I played the Friars/Presidio nines. Front nine was great pace (about 2 hours), but back nine slowed to a crawl with the three nines intertwining. Back nine took just under 3 hours. 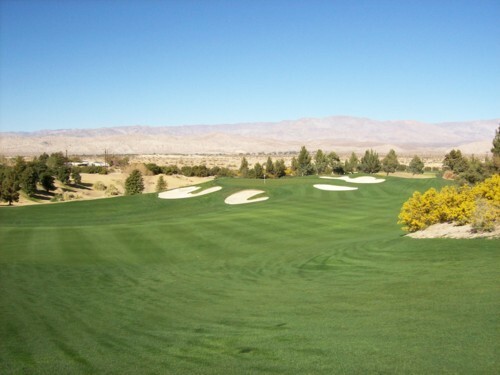 I wouldn’t go out of my way to play here again, but I enjoyed the course more than I had expected after reading a number of negative reviews on Greenskeeper.org. Note: I posted a second review of Riverwalk in 2014, which also included the Mission nine. You can read that here. In addition, I should note that they have now split off what was originally the Friars nine into its own separate 9-hole course called the “Sunset 9.” Now, the other two nines play as a normal 18-hole routing. 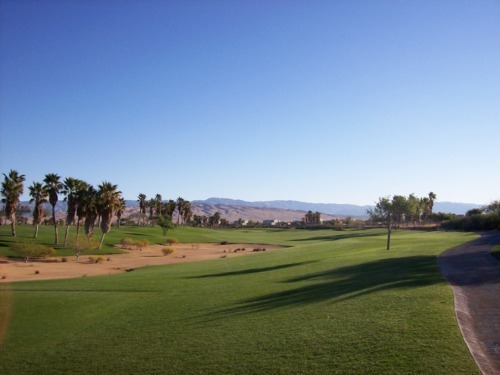 I played Escena as the first half of my 36-hole adventure in the desert last Thursday. I was in the second group off the tee, so it was a nice pace of play right around 4 hours. 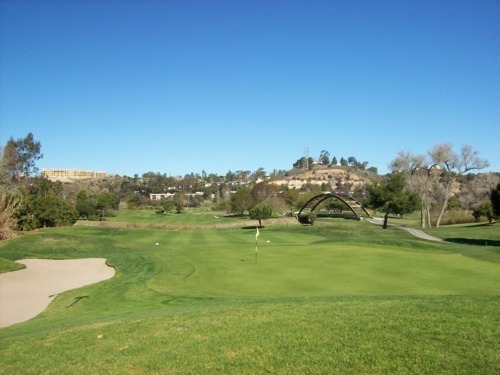 After playing so many dormant and patchy courses elsewhere in SoCal the past few months, it was a pleasure playing out here. 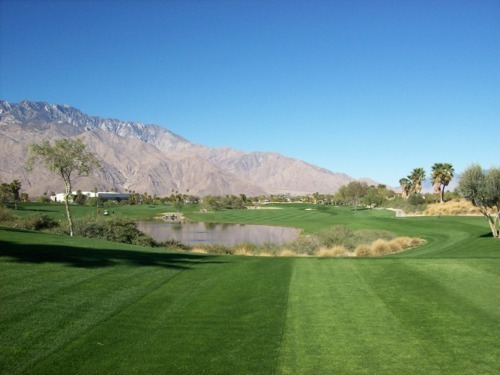 From tee to green, this course was in immaculate shape. So green and lush! The fairways were smooth and the rough was nice and fluffy. 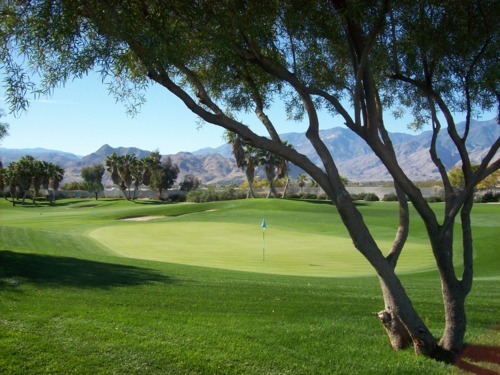 Got a great deal booking through Greenskeeper.org and using the $10 off promo code ($59, can’t beat that for this course). 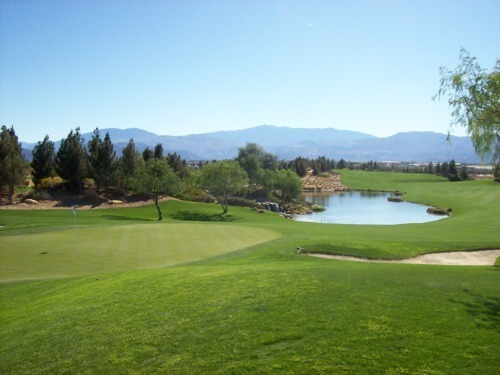 The course itself is a pretty straightforward resort/residential country club kind of design. Pretty forgiving fairways and landing areas. Most of the greens are pretty well protected. The greens are pretty hard to read. The starter told me to not read as much break as it looks and that everything plays flatter than appears. That said, the greens did play tricks on my eyes and it’s hard not to play what feels natural. Every time I played a break, it wouldn’t break and every time I gave in and played it straight, it would break. It probably takes playing out here a few times to get a better feel for the greens. Otherwise, I really enjoyed the course a lot. 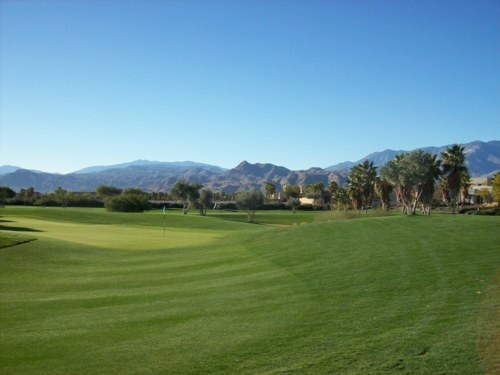 Had the pleasure of playing the Classic Club on Thursday afternoon with Greenskeeper.org members and JohnnyGK himself. Johnny is the owner/founder of GK and it was my first time meeting and playing with him. He set the whole thing up at Classic Club, so I can’t thank him enough for this free round at this excellent course. All I can say is… what a treat! I really enjoyed this course and had a blast playing it for the first time. 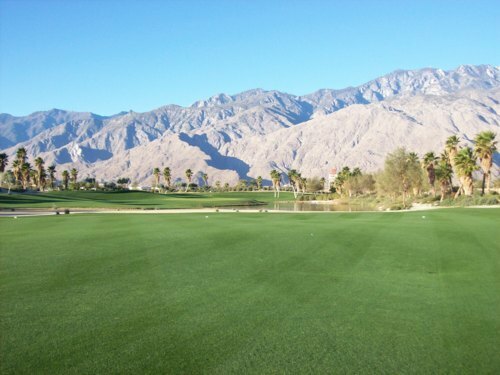 You can tell this course was built for pro events and after playing it, it’s a shame the Bob Hope/Humana doesn’t use this track anymore. It has a giant, beautiful clubhouse with a nice restaurant. It features great decor and landscaping all around the facility. Very classy place. 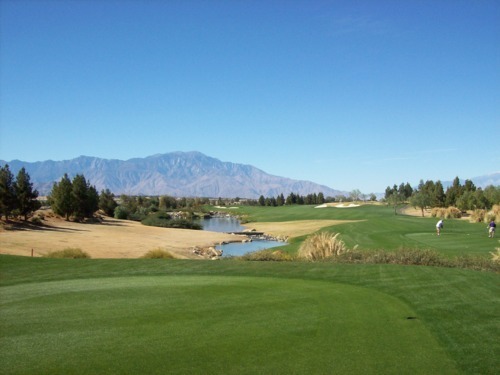 Due to its location north of the I-10, this course is susceptible to high winds and that is one of the main reasons they moved the tournament. 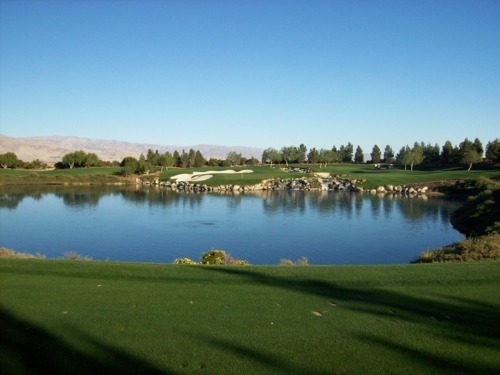 The course itself presents quite a challenge, with water coming into play on just about every hole. And I’m not talking about little ponds here and there, but water going pretty much from tee to green. The 12th is a beautiful beast of a par-3 over water to a well-protected green (with a nasty front pin placement for us yesterday). You really have to be on your game to post a decent score out here. 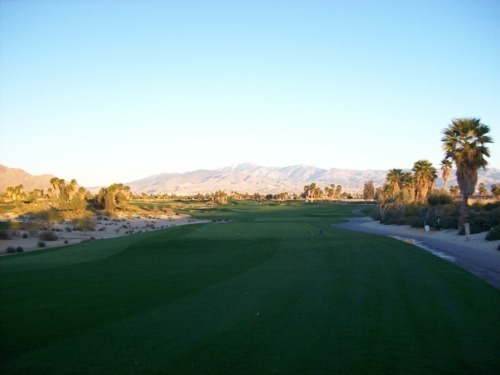 I like that this course has a unique desert design that feels very different from other Coachella Valley tracks. 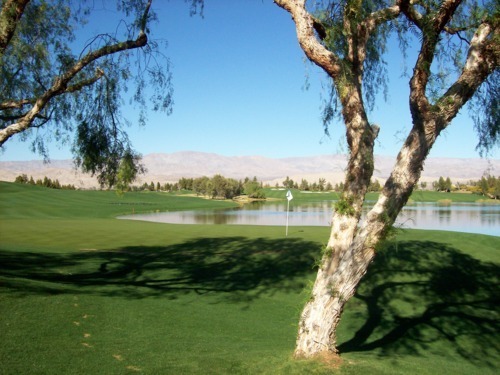 I don’t think I saw one palm tree or cactus, but there are a ton of pine trees on the course. 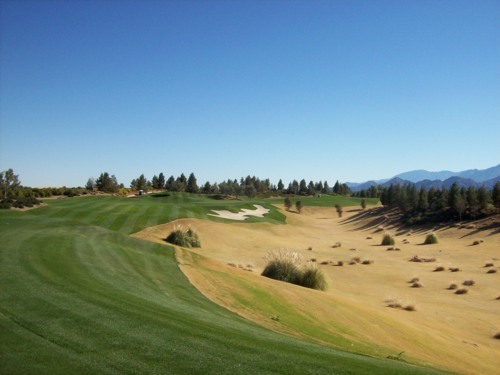 Rather than desert waste areas, the holes are framed with dormant bermuda grass. To me, it almost felt more like a central Oregon course at times. Very distinctive design and landscaping. 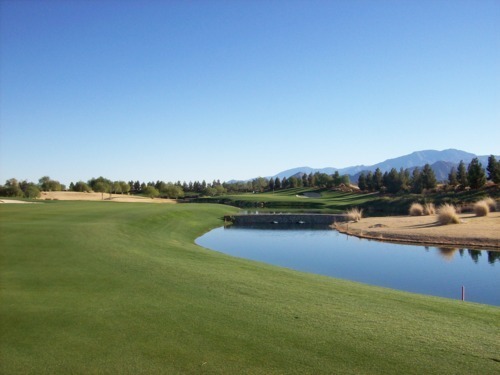 The course was in excellent shape, so no complaints there. Just plenty of praise all around. Also, they had free bottled water stations every few holes, which was a great touch. We were able to stay nice and hydrated in the desert without paying all that extra cash for water and/or Gatorade. Note: I also posted a slightly a second review of Classic Club from later in 2012. You can read that review here.